Zhu Wong, a prisoner in twenty-fifth century China, is given a choice--stand trial for murder or go on a risky time-travel project to the San Francisco of 1895 to rescue a slave girl and take her to safety. The cover is by Tom Robinson, styled to look like an 1890s billboard. And this just in from an Amazon.com reader! "One of my favorite books. I am delighted it is back in print. 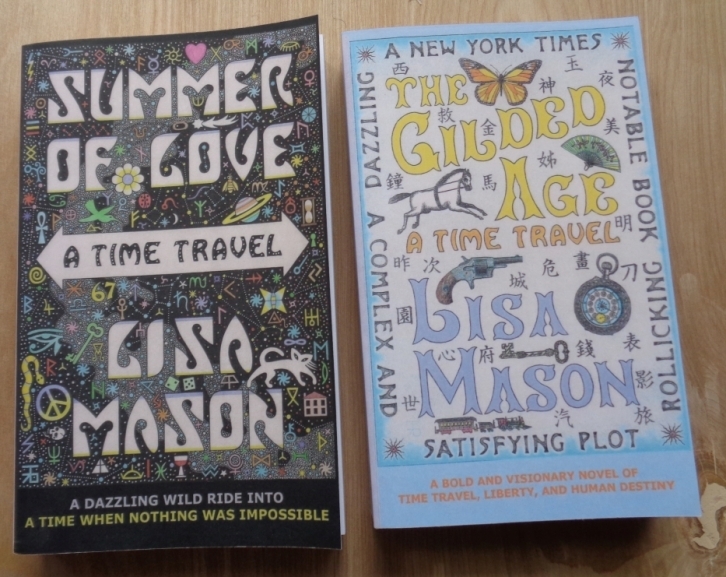 A thoroughly entertaining time travel story supported by vivid characterizations and settings." This just in for Christmas Day 2017! “The world of 2495 is at an unsustainable twelve billion population. Zhu Wong is a Daughter of Compassion, a group working to enforce the birth restriction laws. She is in jail awaiting trial when she is recruited by the Luxon Institute for Superluminal Applications (LISA, I love the acronym) to t-port back to 1895 San Francisco. She accepts the deal. Her mission is to find Wing Sing, take her and the aurelia to the mission run by Donaldina Cameron. In 1967 Wing Sing's daughter will eventually give the brooch to Chiron at the end of his stay in the Summer of Love project. Zhu finds Wing Sing, but she doesn't have the aurelia. They are captured by a Chinese gang. Zhu is bought away from them by Jessie, a madam, Wing Sing stuck with the Tong. Zhu does work for Jessie, but is more valuable as a bookkeeper so avoids becoming a prostitute. Daniel Watkins is the son of a real estate magnate coming to San Francisco to collect on debts. He is low on funds and is referred to lodging at Jessie's where his life becomes entwined with Zhu's. Somehow Zhu is attracted to this heavy drinking smoker who has distinct views of women. Despite herself and her mission, Zhu cares about Jessie and Daniel. The Gilded Age ebook on retailers (below) is $7.99. The new trade paperback is $16.95. Ask your local bookstore to order the book. Here is the ISBN 978-1975853174. Email your name, shipping address, and the title you want to purchase to Bast Books. Link your credit card or bank, then follow the instructions on how to transfer a payment. 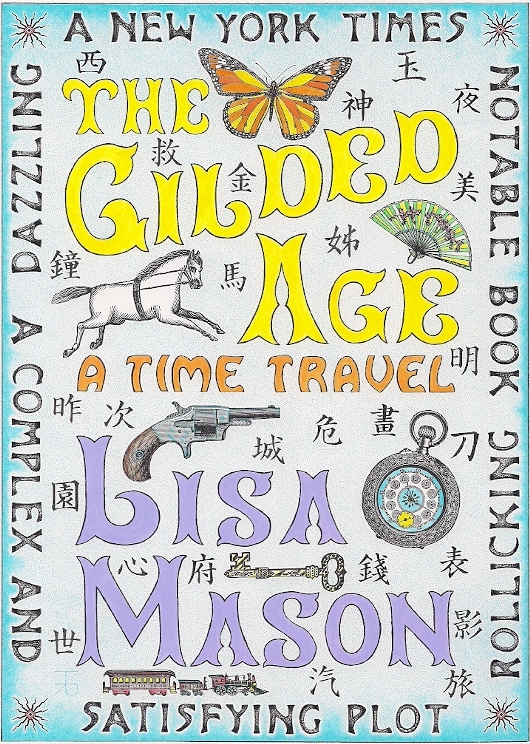 The Gilded Age, A Time Travel is an ebook on US Kindle, Canada Kindle, UK Kindle, BarnesandNoble, Apple, Kobo, and Smashwords. The Gilded Age, A Time Travel is also an ebook on Amazon.com in Australia, France, Germany, Italy, Spain, Brazil, Japan, India, Mexico, and Netherlands.